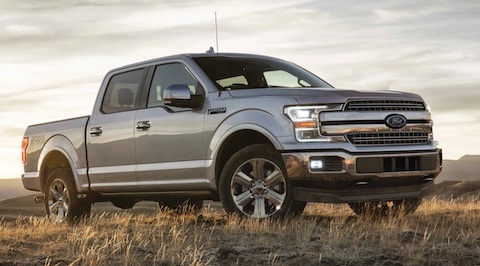 The full-size pickup truck segment is one of the most competitive automotive segments in the U.S. Two of the biggest players in this segment are the Ford F-150 and the Chevrolet Silverado. Many of our customers here at Reynolds Ford of Norman come by to compare the Ford F-150 to the competition and end up behind the wheel of a new F-150. They find that the Ford F-150 beats out even the toughest competition in the Chevrolet Silverado 1500 and we compiled a comparison to show you why. The Ford F-150 and the Chevy Silverado are similarly priced when similarly equipped. Both trucks are available with a wide range of trim levels and cab configurations with a price range to match. Base level pricing for the F-150 and the Silverado start just under the $30,000 mark and can run up to $60,000 for the highest end models. The F-150 can tow more than any other pickup in its class, gas or diesel. The available second-generation 3.5L EcoBoost® twin-turbo V6, at 375 horsepower and top-rated 470 lb.-ft. of torque, has the best-in-class conventional tow rating of 13,200 lbs. 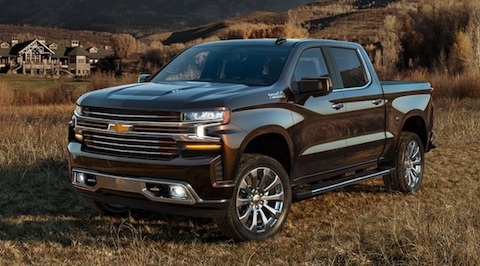 The New Silverado offers several different powertrains, including its new and most powerful 3.0L Duramax® Turbo-Diesel which delivers 310 horsepower and 348 lb.-ft. of torque. Towing capacity for the Silverado is rated at 12,200 lbs. Both the Ford F-150 and the Chevy Silverado are offered with a choice of several engine types. Powerful V6 and V8 engines are available for both trucks but only the F-150 gets the benefit of Ford’s EcoBoost engine. Overall fuel ratings are better on the Ford F-150 which offers 20 mpg/city and 26 mpg/highway (2.7L EcoBoost V6) while the Silverado offers 16 mpg/city and 22 mpg/highway (5.3L Ecotec3 V8). The F-150 and the Silverado have standard or available trailer assist features. The F-150 is equipped with a whole host of driver centric features and is available with Ford’s SYNC 3 with Apple CarPlay and Android Auto system. The Silverado also has these smartphone features that work in tandem with the myChevrolet Mobile app. The F-150 offers more clever storage options as well as other helpful features such as Adaptive Cruise Control. The bottom line – If you want your truck to do more, then a Ford F-150 is right for you.